Here is the deal. Let me show you how you can save at least $147 for overpriced minisite graphics and avoid hours of frustration. I'm happy to announce the unique template that is called 'Flawless Reflection'. You can see it below. It's an edgy, highly-impactful sales page template with cutting-edge graphics. I always want to offer the best value to my clients, that's why I wanted this template to shine over the other low quality ones. 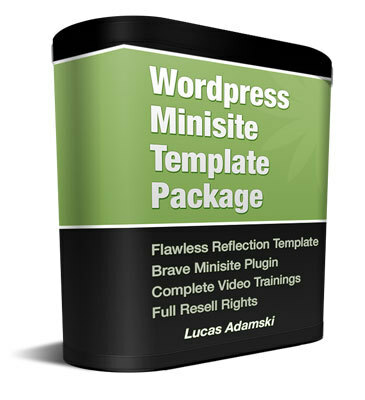 It comes up with fully integrated wordpress template. * Affiliate Sales Pages - Create PPC landing pages, clickbank products reviews, etc. This revolutionary plugin will let you add sales page elements (like testimonial, section boxes, headlines, video boxes) anywhere you want using 1 click of the mouse! No coding skills necessary and it comes with complete video trainings and PDF instruction guides.